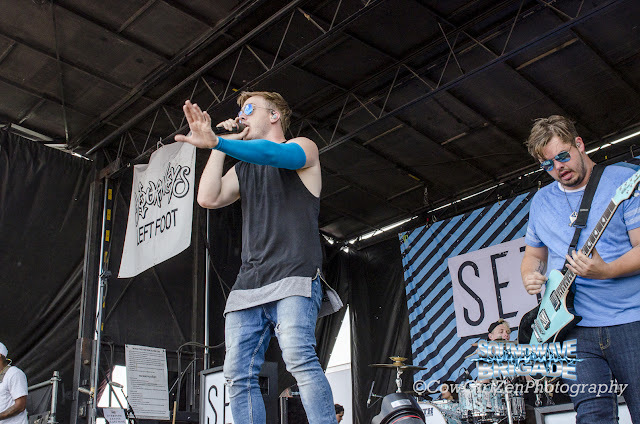 Song River/OM: How was Warped Tour 2016 compared to the previous Warped Tours Set It Off has been on? ZW: It’s was amazing! 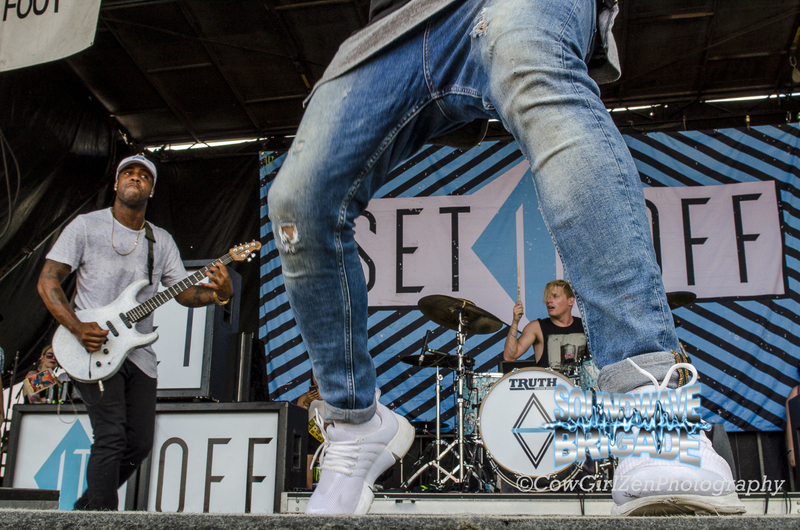 This year was our second year in a row as we had played on Warped 2015. We were super comfortable with the vibes and our crew was absolutely incredible. MD: It was a blast! Punk-rock summer camp is always the best summer camp to be at. ZW: Compared to previous years, it really felt more relaxed. I don’t want to put a bad vibe on anything or anyone, but it felt like there had been a lot of drama and a lot of cliques in previous years. This past year though, there was absolutely none of that. Everybody was super nice to everyone. 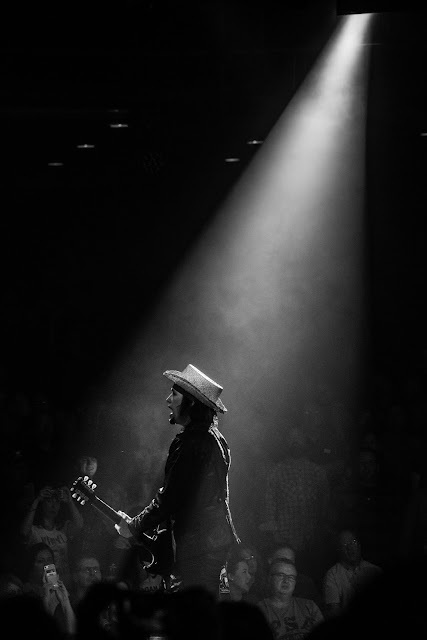 This year, I would say, was the first tour we really had our ‘legs.’ We had been on long enough to know the ropes, to do it all right, and because of that, it made it so much more fun. Song River/OM: Now, Set It Off has shared stages with - well, who haven’t you shared a stage with? Is there still that one person or group out there that you are still aiming to share the stage with? ZW: There is definitely still a few. Paramore and Fall Out Boy are a huge one for me. MD: Blink-182 would be the dream tour. Even people like Katy Perry; all of us are huge fans of her. Another one would be Justin Timberlake. ZW: We’re not picky. Honestly, we’re down for anybody! MD: How about the original NSYNC? That would be another dream tour right there. Song River/OM: Speaking of Fall Out Boy, it had caught my ear a few times that Set It Off is Warped Tour’s scene’s Fall Out Boy. How does that feel as a compliment? MD: Wow. That is definitely a big wow and a huge appreciation. Song River/OM: On the stage, you guys presented a blue and white theme. Those two became such two recognizable colours throughout the tour to you. Do you plan to continue that idea of a certain theme, whether it be through colours or logos, in the future? ZW: Honestly, I think it’s been a big deal for us for a long time. 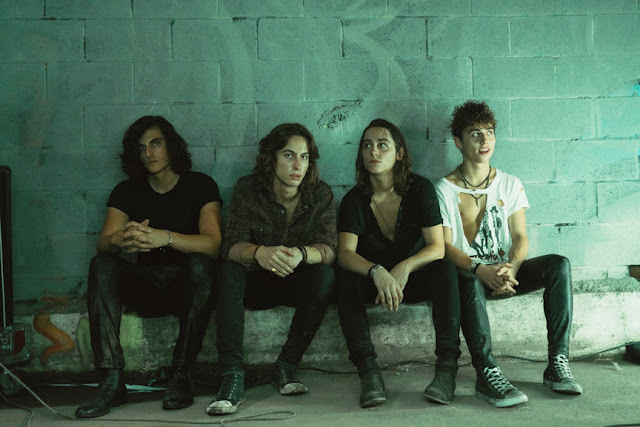 With our past albums and just in general, we learned that not only do you need to connect with your fans, which is extremely critical and important to do. But in a way, you also need to create a brand for the band. So like with the blue, we really liked having it in use because it was one that wasn’t used a lot so that we could stand out. Blue is a colour that is very bright and represents a happy environment vs. black or red that usually plays a more dark and aggressive feeling. Being a pop band, we really do feel that blue is something that can tie us all together in that bright, happy, and positive atmosphere. MD: Staying positive is so extremely important for us. Even when we were more of an ‘aggressive’ band, we were still sure to convey that positive message. MD & ZW: Ha! That was good! MD: The biggest highlight as a band though? Oh, man. I mean, we’ve been a band for eight years now. We’ve had all our ups and downs together. I think one of the biggest moments that sticks out in my mind is last year in 2015 and being on Warped Tour. I feel like that was really the first time we were getting noticed and seeing amazing results, and we can still never say thank you enough. I was literally in shock by those crowds. ZW: I would totally agree. And since then, the responses have been taking off, the shows have been growing intensely… It’s all just been. Wow. We could not be more excited. Song River/OM: What’s the plan for fall/winter of 2016? How about even 2017? MD: Well, October 7th we have our new record coming out, called Upside Down. Which can be pre-ordered at www.setitoff.com. After that comes out, the plan is to just tour as much as possible, stay busy, keep in touch with the fans everywhere. Song River/OM: As a wrap up, may we get all the social media handles and outlets real quick? MD: Of course! Actually, it’s a good thing you asked. We had been changing them up a little bit. 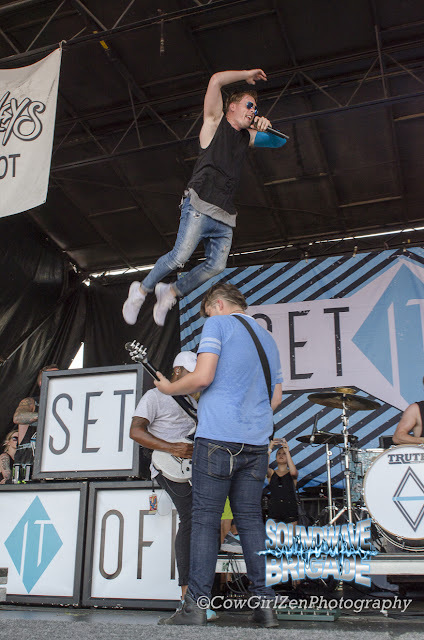 www.setitoff.com is where the new record Upside Down can be pre-ordered. We have a new music video for our song “Something New” up there on YouTube. You can find my personal account @MaxxSIO and Zach’s personal account as well @ZachSIO. Cody is @CodySIO and Danny is @DannySIO too.